Meeting with Lviv Custom Office about cooperation in 2015. 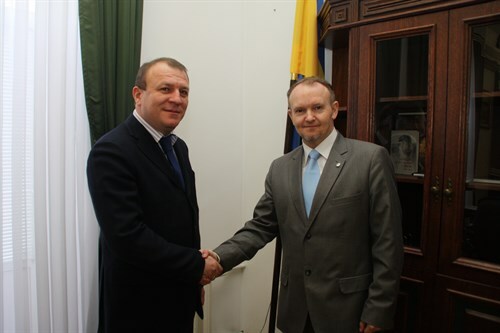 Danish Business Association, Mr. Lars Vestbjerg and Mr. Oleg Yanytskyy met with Chief of Lviv Custom Office Mr. Mykola Gorobynskyy discussing future development of cooperation in 2015. The terms and conditions for the signing memorandum was agreed.